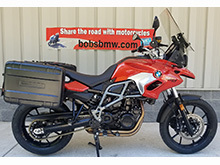 We are very excited to offer up this very clean, super well-cared for F700GS for sale. 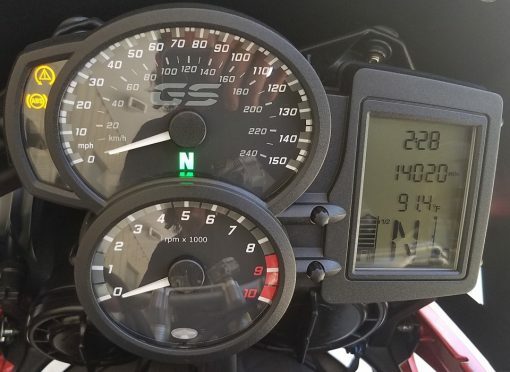 The previous, single owner, was meticulous in his selection of accessories, how he stored the bike and how he rode this GS. 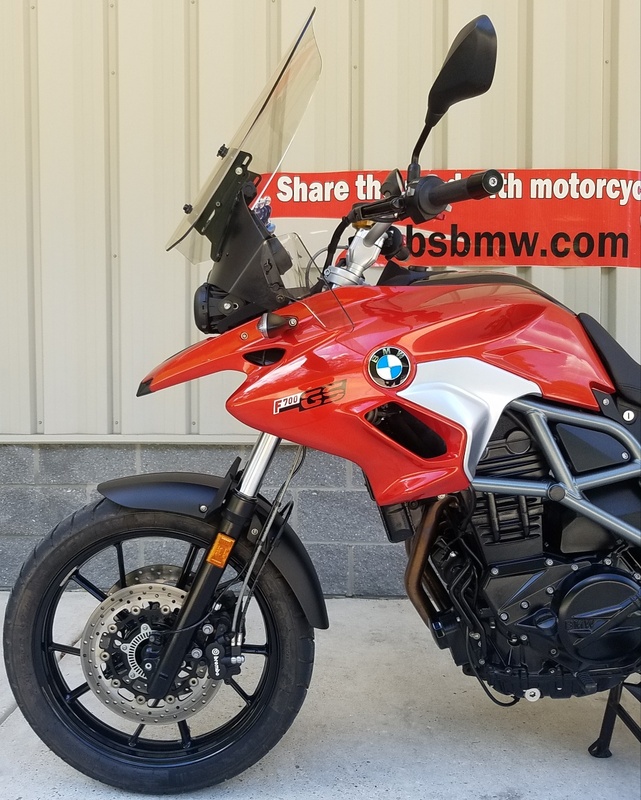 Although designed for on-road and off-road use, this F700 wasn’t ridden in the rain, was limited to on-road use only and was garage stored and cleaned and detailed after each use. 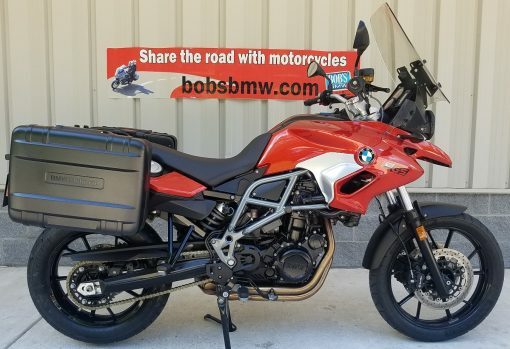 This bike was delivered from BMW with ESA II (the advanced electronic suspension adjustment), TPM, center stand, saddle bag mounts, the safety package including ABS and ASC (automatic stability control), heated grips and onboard computer. 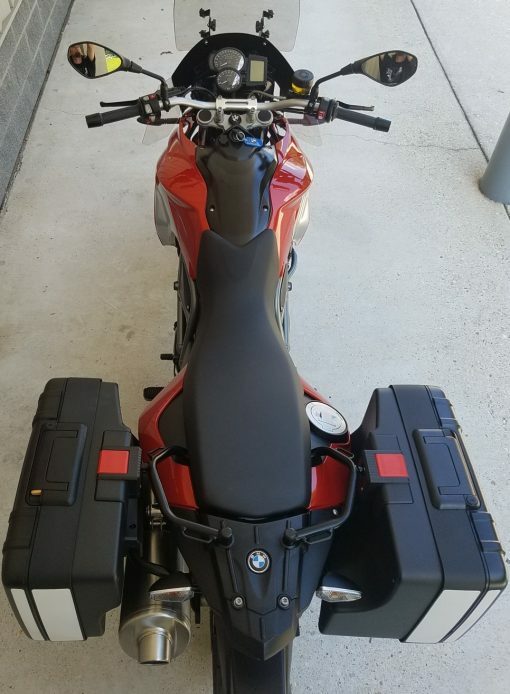 The previous owner added the really nice BMW Vario side cases, a taller Madstad windscreen with winglets, Wunderlich bar risers, Wunderlich lowered foot pegs and brake pedal. 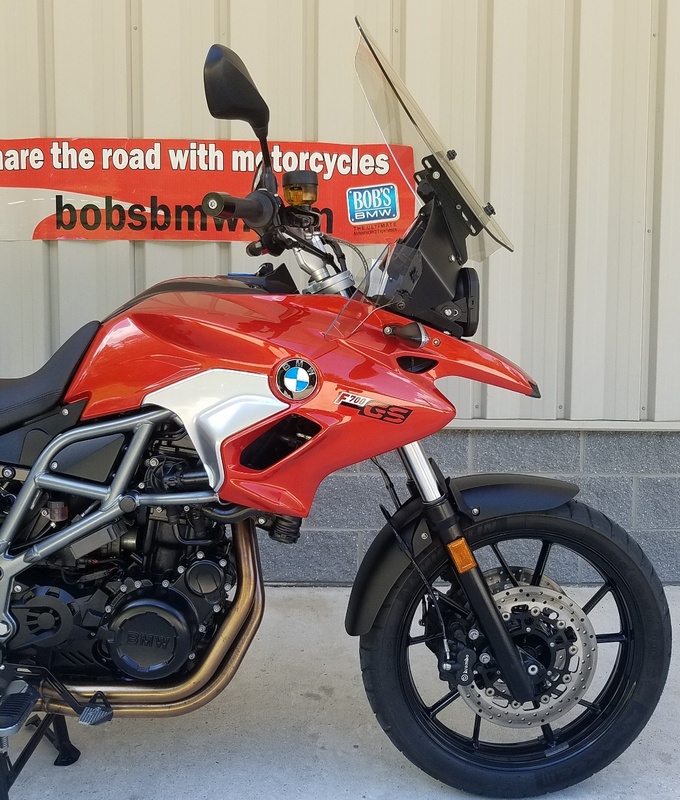 The factory Sakhir Orange Metallic paint looks like a custom color and we had to look it up since we don’t see this color very often. 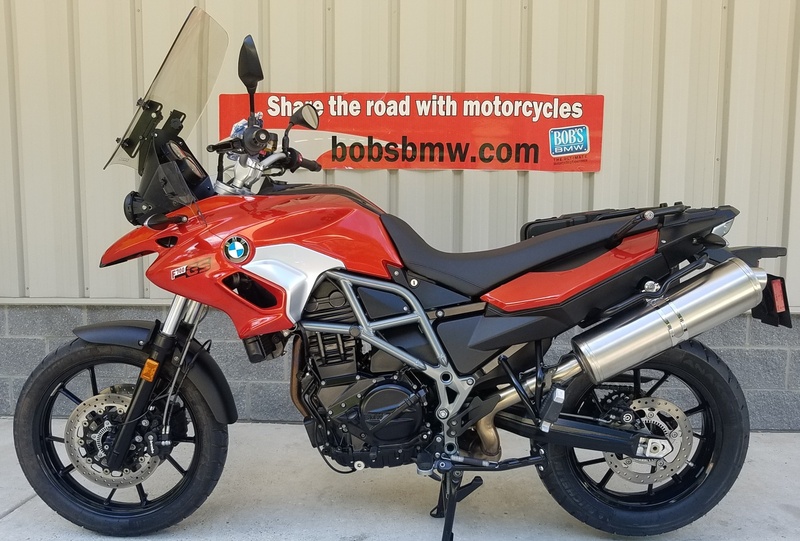 The bike was purchased new at Bob’s BMW and had all of its regular services and service intervals completed by our BMW certified Master Technicians. We completed the 12,000 miles service in October of 2017. 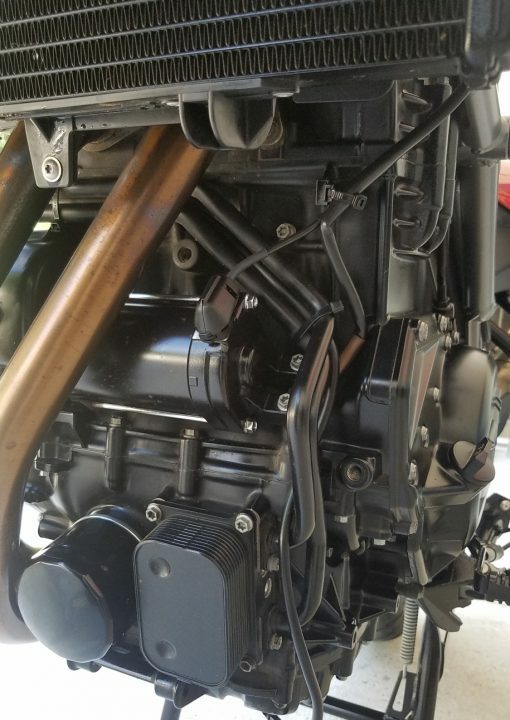 That includes engine oil and filter change, valve clearance check and replacing the air filter. We also Installed a new chain and sprocket at 13,080 miles in May of this year. Most recently we did an annual service including engine oil and filter, 38 point safety inspection, diagnostic check and resetting the service date. 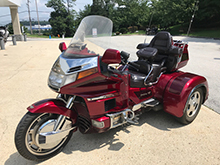 We installed nitrogen in both new Anakee III tires, put in fresh fuel, did an extended test ride and put it through a Maryland State Inspection which it passed. 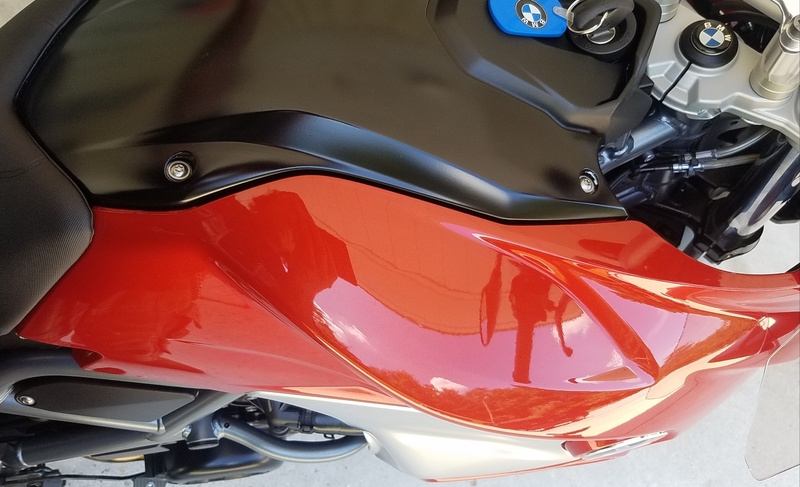 After that we gave it to our professional detailer put a couple hours into detailing it to make it showroom ready. 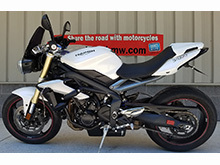 Cosmetically the bike is in very, very good condition. We rate it a conservative 9 out of 10 although some would argue it’s a 9.5. There is one small paint chip in the front left hand paint panel, the center panel has some light wear from a tank bag and there is a small scuff on the brake lever. 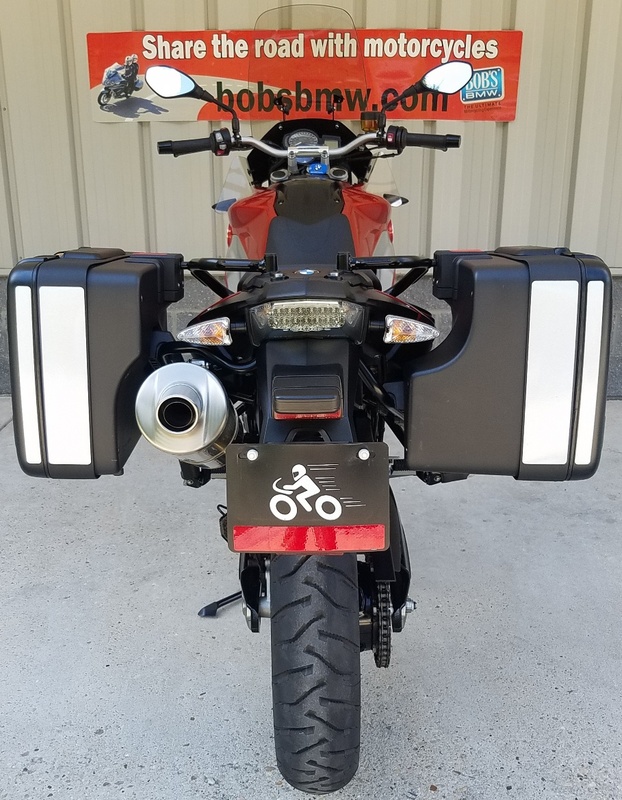 The grips do show some signs of use but operate as designed and the heated grips work flawlessly. 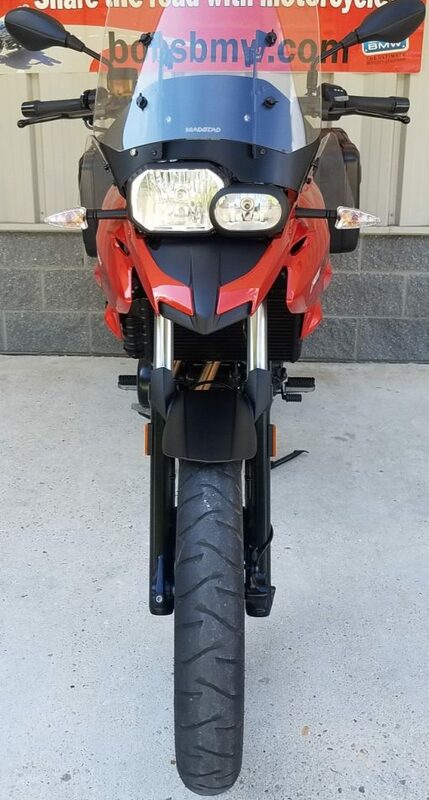 The windshield, seat, gauges, exhaust, controls and accessories look at or very close to new. This F700GS is fully loaded, well accessorized, serviced, detailed and ready for a new owner to put on thousands and thousands of miles. 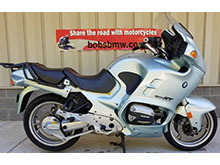 As a Bob’s BMW Advantage Certified motorcycle it also qualifies for our 30 day major mechanical guarantee, discounts on a Zurich service contract and or Tire and Wheel protection and a free loaner during your first service interval which would be a 18,000 miles or one year from the purchase date. 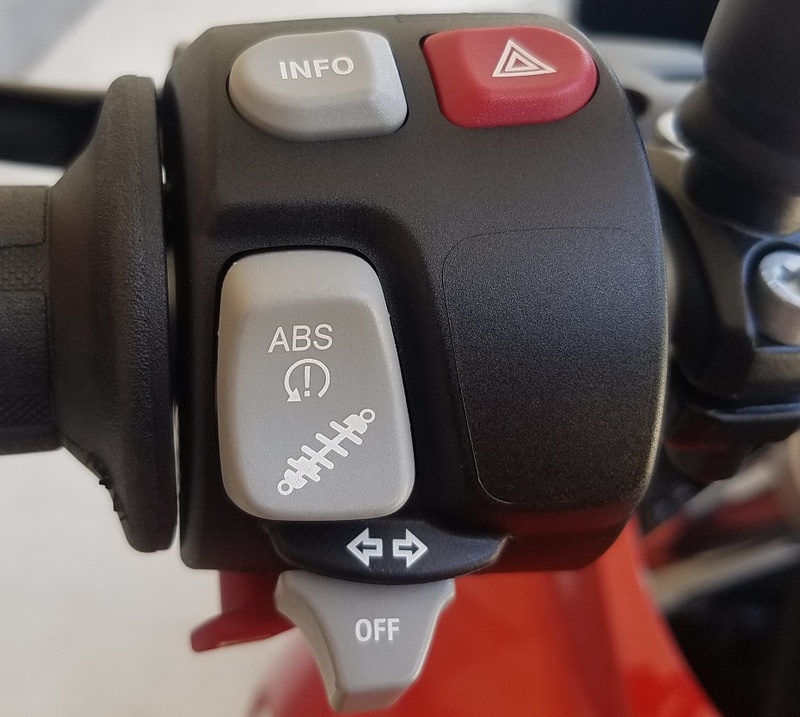 The bike comes with 2 keys, the owner’s manual and the factory tools. Please contact our certified BMW sales advisors with questions, trade inquiries and to schedule a test ride today.